Launched in 2010, the Amarok is Volkswagen’s first mid-size pickup truck. A global vehicle, it’s currently being built in three factories in Germany, Argentina, and Algeria. 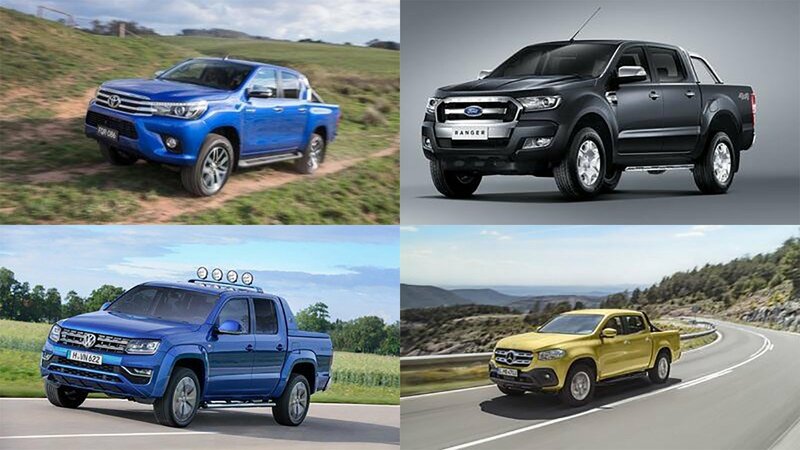 However, despite being sold in Europe, South America, Asia, and Africa, the Amarok is not available in the United States, despite rumors that Volkswagen could bring it here as a competitor for the Chevrolet Colorado and Toyota Tacoma. 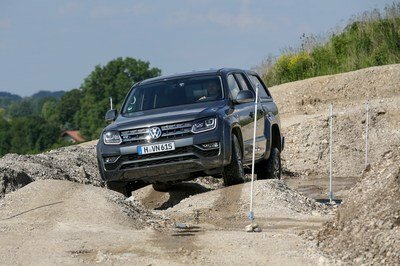 On its way to a redesign, the Amarok is still being used to showcase near-production concept cars at auto shows in Europe. 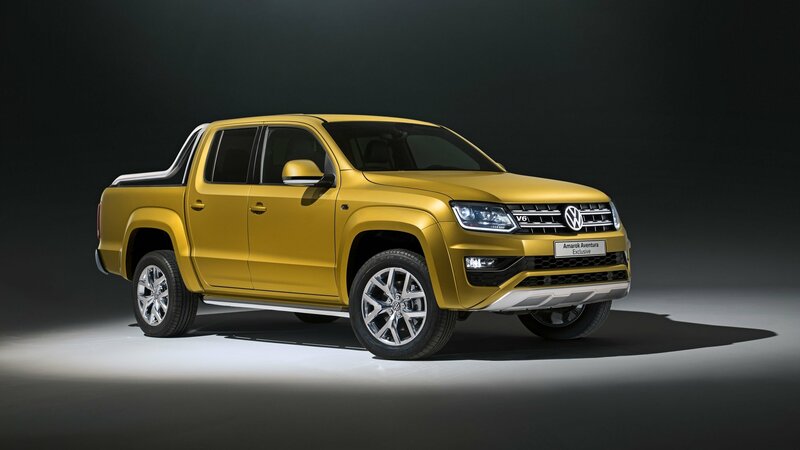 The latest example is the Amarok Aventura Exclusive concept, which previews the company’s brand-new diesel engine. Finished in a special paint and fitted with bespoke interior appointment, the Aventura Exclusive concept signals the introduction of a new range-topping engine. Based on the existing 3.0 TDI, this new V-6 delivers significantly more power and will essentially give customers access to a sportier version of the pickup truck. Alongside the new turbodiesel, the concept truck also previews new exterior and interior production features. There’s no timetable as to when these will become available, but until we have more information, let’s check out the concept truck in the review below. 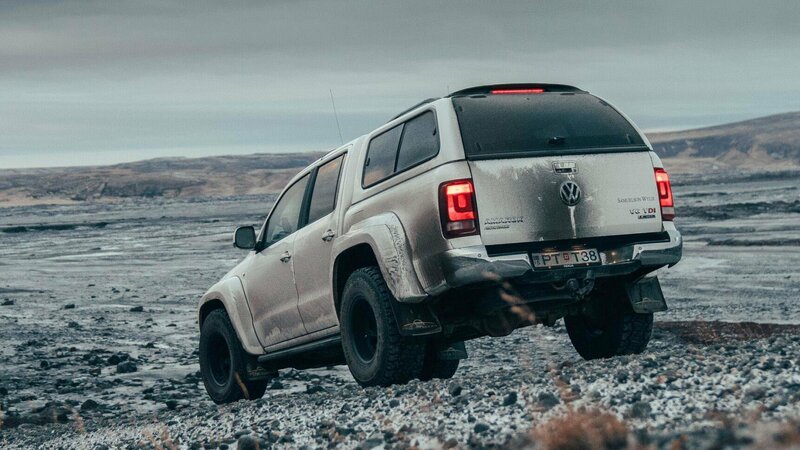 Continue reading to learn more about the Volkswagen Amarok Aventura Exclusive concept.